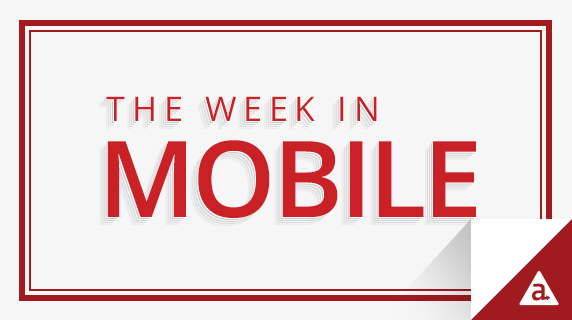 Apple announces App Store Revamp, Google’s TensorFlow now available for iOS, Chick-fil-A Tops App Store Charts and more. Search Ads – Apple is introducing App Store ads in search, which allows developers to bid on advertising space at the top of search results. Improved Discovery – The App Store’s “featured” section will only recommend apps a user hasn’t installed, increasing discovery opportunities. Apple is also reintroducing the “categories” tab for easier navigation and rolling out 3D Touch, which allows users to share apps with friends. Faster Reviews – Apple is speeding up its app review process, so that developers can get to market sooner. The company promises to review 50 percent of apps within 24 hours and 90 percent in 48 hours. Subscription Revenue – Apple is rolling out a new business model for developers of subscription-based apps. For the first year, apps using subscriptions will receive a 70/30 revenue split and then an 85/15 split for following years. Apple isn’t the only one trying to sweeten the deal for devs. Google announced that it too will adopt the same 85/15 revenue split for subscription apps. Google’s open-sourced machine learning software, TensorFlow, now supports iOS. That means iOS developers can use TensorFlow to build neural network capabilities directly into their apps. The technology can analyze text, recognize people and objects in photos and more. To give you an idea of wide array of applications TensorFlow is capable of, Google recently used the neural network tech to create a 90-second piano piece. Computer manufacturing company, Lenovo, introduced the new Phab2 Pro phone, which utilizes Google’s Project Tango to understand and map room interiors. Software and sensors built into the Phab2 Pro allow the device to track motions and identify physical surroundings. The smartphone could mean big things for augmented reality, opening up the opportunity for digital furniture models, immersive gaming experiences and learning exercises. The Phab2 Pro will begin shipping in the United States in August for $500. Following the release of Microsoft’s HoloLens developer kit in March, the company announced new HoloLens apps for Outlook email and calendar. The AR version of Outlook closely resembles the desktop application, however; users can pin their email inbox or calendar to specific points on the wall. It may not be the thrilling AR experience that games and simulations offer, but it is an early attempt to allow users to multitask and access this content in a new way. Microsoft also released a new version of its Outlook mail and calendar app for the Android Wear, which is specifically designed to the watch face. Chick-fil-A not the first to the mobile ordering game, but their recent launch of ‘One App’ has been a huge success. The popular fast food chain launched its first mobile app last week and quickly became the most downloaded free app on iTunes. The new app allows users to order ahead and skip the line, but, perhaps most compelling, is the promise of a free chicken sandwich just for downloading the app. This isn’t Chick-fil-A’s first foray into mobile. Last year, the company rolled out an ordering system in which employees walk through lines taking orders on tablets in order to cut down on wait times. The NBA launched a chatbot for Facebook Messenger just in time for the finals. Users can access highlights and video footage by opening the chatbot and inputting the name of a team or player. Highlights can be filtered by “Top Plays”, “Last Game” or “Playoffs” and users can request to see updates in real time. For now, highlights are only available for teams and players in the 2016 finals and it is unclear whether or not the NBA will open the chatbot up to other teams in the future. Separately, the NBA has partnered with Twitter and Samsung to bring 360-degree videos of the finals to your Twitter feed. The video content will be filmed using a Samsung Gear 360 and footage will be pushed out on the NBA’s Twitter account.